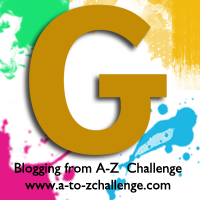 For the letter ‘G’ I have chosen the colour Gold- a warm, metallic yellow named after the precious metal. It is long associated with wealth and prosperity and extremely popular in fashion and jewellery. These Pinterest boards feature lots of beautiful golden imagery. Keep reading to discover the symbolism behind this colour and learn more about the colour gold in Literature. Gold represents glamour, luxury, class, elegance and extravagance. It also symbolises power, strength and solidity. As well as this, gold is a symbol of winning and success (eg. gold stars and gold medals). It represents the wisdom of ageing and the height of achievement, as in ‘golden anniversaries and ‘the golden age’ of civilisation. Gold also has religious connotations of perfection and divinity and was often used in statues of deities, such as the Ancient Egyptian gods and goddesses. It features often in the Old Testament, and is given as a gift to Jesus in the nativity story. Gold can represent purity, for example in the saying ‘he has a heart of a gold’ and in the exchange of gold wedding rings. However, it is also associated with evil and idol worship. In nature, gold represents the harvest (picture sheaths of wheat in the sunshine). The chemical symbol of gold, Au, comes from the Latin ‘aurum’, meaning ‘glow of sunrise’. It is often associated with the sun, and in the zodiac it is connected with the star sign Leo. In Ancient Greek mythology, King Midas was granted the power to turn whatever he touched into gold. But the reality was not as fun as he imagined, as he accidentally turned his family into gold statues and found he couldn’t eat anything without transforming it. We still use the phrase ‘the Midas touch’ today, to refer to someone who is lucky or has everything going for them. In Charlie and the Chocolate Factory by Roald Dahl, gold is used to represent winning something magical, as children search for the golden tickets hidden in wonka bars that will allow them access to the chocolate factory. In Goldfinger by Ian Fleming, James Bond goes up against a villain whose obsessive love for gold inspires him to rob a gold depository. Gold features often in the Harry Potter series (the golden snitch, the polyjuice potion with Harry’s hair that turns ‘clear, bright gold’, the Gryffindor house colours etc.) The colour is mostly used to represent Harry’s bravery and honour. Gilderoy Lockheart, on the other hand, is found to be a fake-‘gilded’ with gold plating, but lacking a ‘heart of gold’. There are also lots of references to alchemy, the art of turning base metals into gold. This article looks at the symbolism in depth. Rumpelstiltskin is a fairy tale in which a miller boasts that his daughter can spin straw into gold and as a result she is imprisoned by the King and told she will be executed in the morning if she doesn’t spin all the straw into gold overnight. An imp-like creature called Rumpelstiltskin offers to do the impossible task for her, on the condition that she give her firstborn child to him. A Curse Dark As Gold is a good retelling. In Fever by Lauren De Stefano, Rhine is captured by an old lady called ‘Madame’, who dubs her ‘Goldenrod’ and brings her to work at her carnival themed brothel as part of the sinister entertainment. The colour gold occurs frequently as a symbol for greed and decadence-for example, in the dress that Rhine is forced to wear, and the gilded cage she decorates with gold eye-shadow. There is a theme of things not living up to expectations, reminiscent of the phrase ‘all that glitters is not gold’. Can you think of any other examples of the colour gold in literature, myth and legend? I'm not a huge fan of the colour gold – I'm more of a silver girl ;). But I do love sunflowers and sweet potatoes! And those dresses look fabulous. I haven't read the book, but in the film The Great Gatsby, I think there's a lot of gold to symbolise decadence too. I’m not a huge fan of the colour gold – I’m more of a silver girl ;). But I do love sunflowers and sweet potatoes! And those dresses look fabulous. I haven’t read the book, but in the film The Great Gatsby, I think there’s a lot of gold to symbolise decadence too.